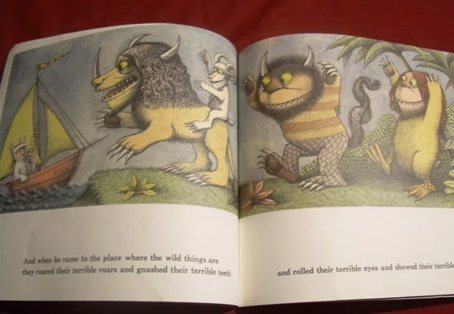 Growing up my favorite book was Where the Wild Things Are. I still have my original copy, slightly beaten, read many times and loved tremendously. I felt like I was Max or at least his tag-along friend on a fantastic journey. I loved the drawings and imagined myself as their queen. Max could be my boyfriend and we’d all live happily ever after. 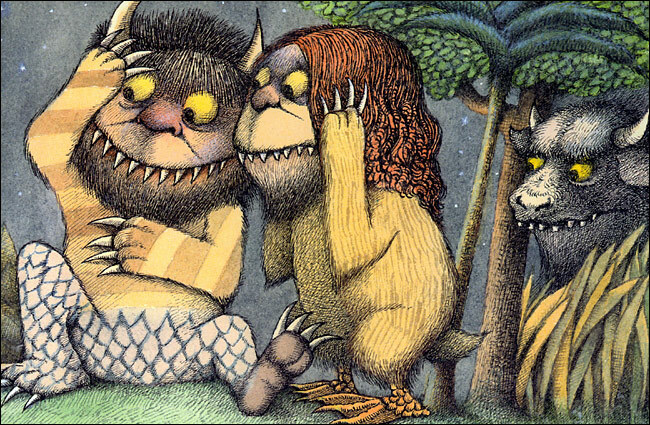 I know much has been said about the psychology behind Sendak’s books and illustrations but as a happy go lucky kid, I just saw them as pure fun and fantasy. There was never really a dark side for me. It’s funny how kids can read something or watch something over and over again but that is exactly what I did as a child. I can’t imagine reading any of the books I read now over and over. There is something about being a child and finding the perfect book that just can’t be repeated as we get older. I guess with bills to pay, jobs to go to, people to take care of – a little bit of happy go luck gets lost. 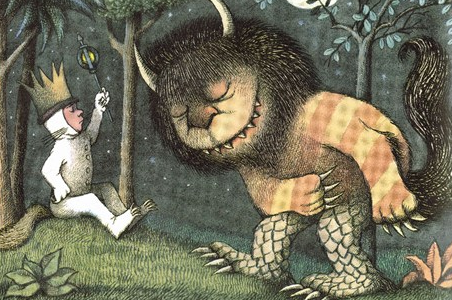 Thank you Mr. Sendak for Max and the Wild Things!